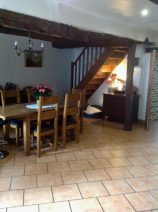 A two bedroomed granit cottage with original beams and Breton fireplace, ronovated by the owners. Large living/dining room (8.4m x 6.00m) south facing double glazed windows, exposed oak beams, stone wall features, large fireplace with wood burner. Kitchen - (4.5m x 2.8m) with kitchen units, double doors leading to a sunny enclosed private patio and garden. 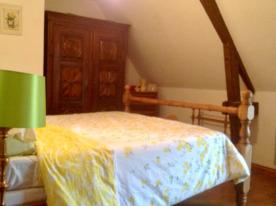 Airing and storage cupboard (1.70m x 1.70m). All the ground floor is fully tiled floors throughout. Bedroom 1 - (5.10m x 3.9m) A large master bedroom with window over looking the south facing front, wooden floor & electric wall heater. Family bathroom - (3.3m x 2.50m) tiled floor, velux window, heated towel rail, bath with over shower, vanity unit/wash basin, toilet. 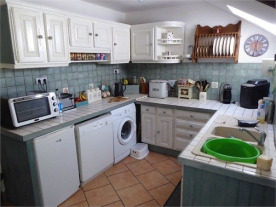 Gite 1 - open plan living area of (5.80m x 3.70m) fitted corner kitchen with cooker, washing machine, fridge/freezer etc. UK TV and French TV connections. 2 electric wall heaters, downstairs toilet. All furniture and electrical goods are included in the sale. Back door leading out to a private and fenced garden with patio and stone BBQ, gate out to large communal garden. Shower room - (3.7m x 1.90m) tiled shower, vanity unit basin, electric heater. 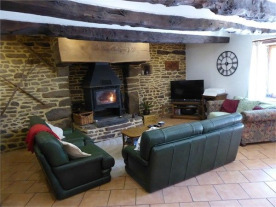 Gite 2 - open plan living area of (5m x 5.5m) kitchen area, sitting area, fireplace with wood burner, downstairs toilet, electric wall heaters. UK and French TV connections. Back door opening on to private patio with fenced garden and stone BBQ and gate to large communal garden. 2 double bedrooms (4.2m x 2.6m and 3.4m x 2.5m) both with wood floor, velux windows, 1 with a south facing window, electric wall heaters. Shower room - (2.4m x 2.4m) tiled shower, wash basin, wall heater and connection for washing machine. 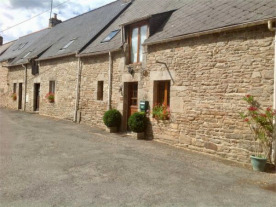 At the rear of the property there is a large well kept communal garden with boule and table tennis, garden shed.